Did you know that the first Winter Olympics were in held in 1924 at Chamonix, France? A lot has changed since that first game. 2. There were 16 events in the first Winter Olympics. 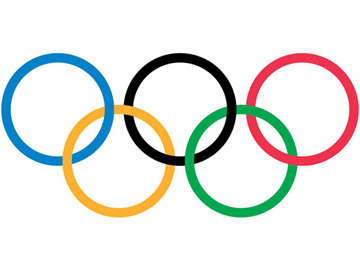 Today there are 15 sports with 98 events in the Winter Olympics. 3. In 1924 there were 258 athletes participating. This winter there are 2,871 athletes competing. 4. Technology has come a long way since 1924. To see a video of the first Winter Olympics click here. “This year NBC Universal has 40 percent more capacity, including 19 broadcast/cable networks and more than 60 websites to promote the upcoming Winter Games than it had in Vancouver 2010” according to TV News Desk. 6. Canada won the ice hockey event by scoring 122 goals, with only 3 scored against them in that first Winter Olympics. Beginning in 1998 a women’s ice hockey team was added to the Winter Olympic events. Twelve teams will compete this year in the men’s tournament, eight in the women’s. The Olympics have grown and changed in many ways. Technology, rules, culture, and society have contributed to the change of the Olympics. Celebrating the accomplishments of the athletes in this year’s Winter Olympics is fun. Watching all the countries around the world coming together in a symbol of unity is wonderful. Every four years provides us with new faces, new rules, new venues, and new stories. It is good to know that there is one thing that never changes and that is Jesus Christ. While watching the Olympics this winter I challenge you to discuss some of the changes in the Olympics and then discuss how Jesus Christ never changes. He is eternal (Hebrews 13:8), good (James 1:17), holy (Isaiah 6:3), and He is sovereign (Matthew 10:29) to tell of just a few of His unchanging attributes. There are teachable moments all around us. Do we use those moments to just teach current events or do we teach for eternity? Copyright © 2019 Truths for Tots. Powered by WordPress. Theme: Accelerate by ThemeGrill.